The garden boasts more than 1,000 roses of 60 varieties, with blossoms peaking in the summer and still robust into autumn. And the municipal spot is a serene atmosphere to relax any time of the year with free access from sunrise to sunset, barring a special event. Pullen Park is a picturesque, quaint amusement park that&apos;s one of the oldest in the U.S. With a convenient location adjacent to North Carolina State University (NCSU), and just west of downtown Raleigh, it&apos;s easily worth the walkthrough alone. But if you have spare change, the $1 attractions are well worth it. The park&apos;s signature 1920s carousel, listed in the National Register of Historic Places, features hand-painted and hand-carved horses, rabbits, ostriches, cats and more. And to round out the best botanical bets, JC Raulston Arboretum is a renowned garden at 4415 Beryl Rd., open daily to the public and free of charge. It&apos;s a lush 10 acres administered by the green thumbs of NCSU. The garden features more than 5,000 plant varieties. Beer & Banjos Music Series at downtown Irish pub Tír na nÓg is a weekly, free event taking place every Tues. from 7-10pm. The series features local and out-of-town talent with an emphasis on acoustic genres (bluegrass, folk, Americana and singer-songwriter). Tír na nÓg is host to another free music series, Local Band-Local Beer, which in addition to the music, features a local brew each week. The event is free for 21+ ($3 for 18+) and starts at 9:30pm every Thurs. The North Carolina Museum of Art&apos;s permanent collection and Museum Park are lovely year-round—and free. Check it out before dawn to experience the Cloud Chamber for Trees and Sky, an outdoor stone hut that plays with light to create an optical illusion within. Some people say being inside the chamber is like being inside the lense of a camera! And finally, downtown are the North Carolina Museum of History and the North Carolina Museum of Natural Sciences, which display staple exhibitions and some traveling exhibits for free. Permanent exhibits at the history museum include the award-winning exhibition The Story of North Carolina, the North Carolina Sports Hall of Fame, an overview of N.C.&apos;s military heritage and more. 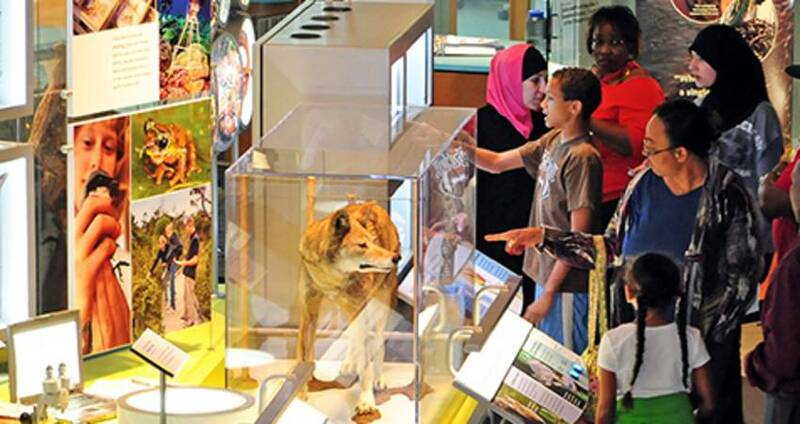 And check out our 10 "Must See" Things at the North Carolina Museum of Natural Sciences. This list only scratches the surface of the free things to do that Raleigh boasts. Check our calendar as you plan your trip, and you&apos;ll find free events on every horizon.